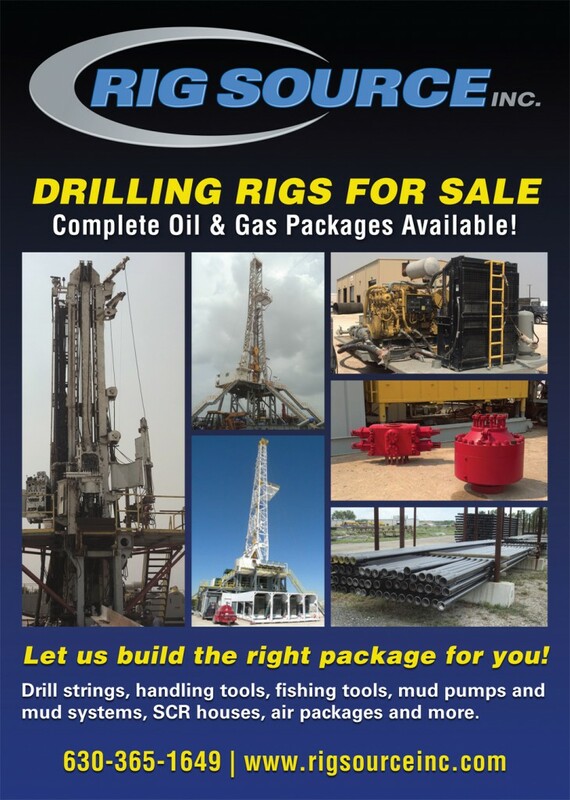 Rig Source has Oil & Gas Drilling Equipment for sale! 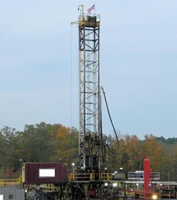 Check the featured oil & gas rigs for sale that we are featuring in June! If you’d prefer to receive our listings in your inbox, please sign up for our email list. 2007 Schramm TDX Complete package with pipe handling, mud pumps, mud system and BOP’s. 2007 Atlas Copco RD20 III This Atlas Copco RD20 drill comes equipped with an Ingersoll-Rand HR 2.5 Air Compressor. It also includes: a Floating Sub, 60-gallon Oiler, Bean 1000 PSI Water Pump, Diesel Fired Deck Pre-heater and a Hammer Tooling Kit. 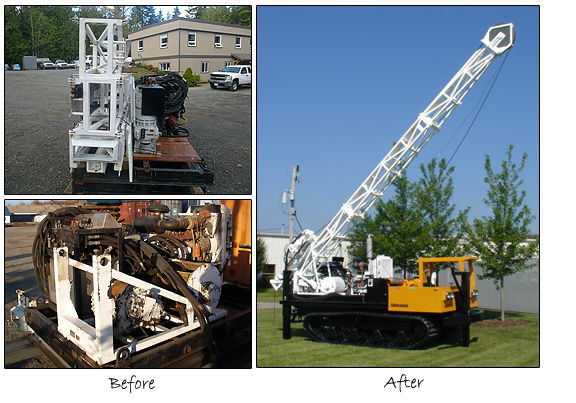 The drill comes mounted on a 2007 Tridem Crane Carrier with a CAT C13 380 HP Engine. 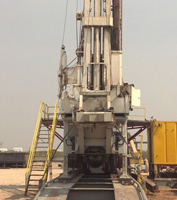 Includes: Substructure (50′x14′x5′ with 36″ Folding Flaps), 2007 Sullair XHH 1150/350 Compressor, Hurricane Booster and 2500′ of double white inspected drill pipe Call for pricing and complete package details! 3 MD Cowan Super Singles Rig Source is proud to offer 3 used M.D. Cowan Super Singles! These are complete rig packages with top drive, mud pumps, mud system, pipe handling, SCR House, BOP’s and tubulars. Please contact Rig Source for a complete inventory and to schedule an inspection. OIME SL-1500 This OIME SL-1500 RIG has a depth rating of 18,000 feet and is in great working condition. See full unit specifications below. DRAW WORKS: OIME SL 1500, 1 1/4″ Drilling line BRAKE: Parmac 342 Hydromatic RIG DRIVE ENGINES: Caterpillar C-18 Diesel Engines RIG DRIVE TRANSMISSIONS: Allison Transmissions DERRICK: Pyramid 146 ft x 23 ft, 815,000 # SHL w/6 – Sheave Crown SUB-STRUCTURE: Pyramid 22.5 ft Swing Up ROTATING EQUIPMENT: Pyramid Hacker 275, Rotary Table RIG HOUSES: Alberta Fab, Alberta Labour Pusher House, 12 ft wide x 54 ft long with 2 bedrooms, 2 offices, Insulated, Skidded Shop MadeDoghouse, 8 ft wide x 38 ft long Want more information about these oil & gas rigs for sale? 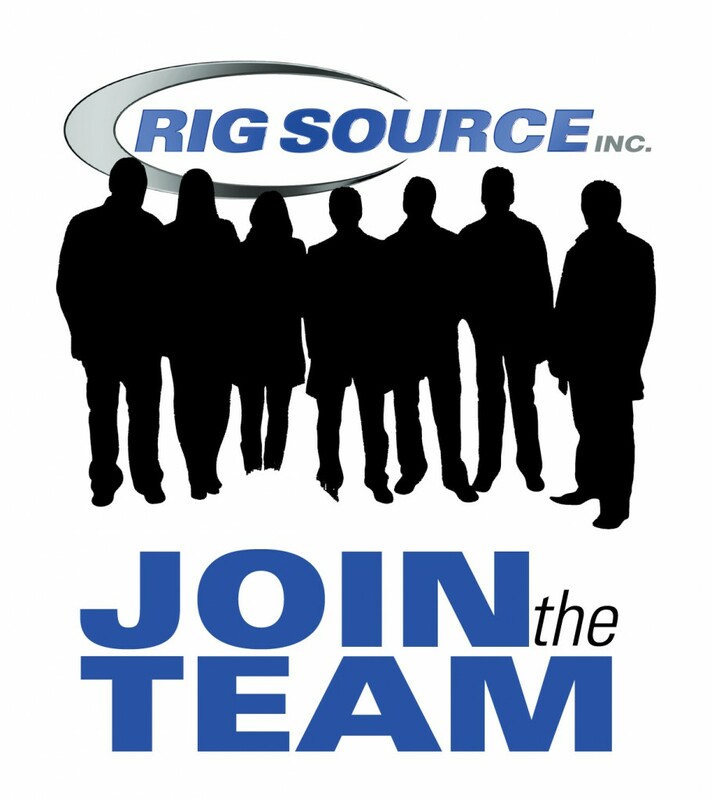 Please give Rig Source a call at 630-365-1649. Oil and gas drills and drill packages. 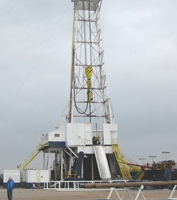 Rig Source is active in the oil and gas industry providing shallow oil and gas land drills such as the Atlas Copco RD20, Schramm T130 and a variety of 1000-2000 HP rigs to companies internationally. If you need to build a drill package, Rig Source can help! We can include everything from mud pumps and compressors to dog houses and drill collars and also ship everything to your job site anywhere around the world. 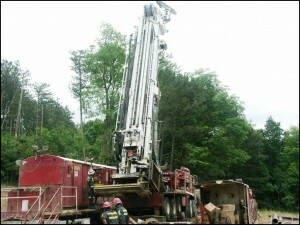 Currently Rig Source has an Atlas Copco RD20 and a Schramm T130 for sale. You can view the units details on their individual web listings located in our oil and gas drill rig showroom – 2007 Atlas Copco RD20 III and 2006 Schramm T130XD. Feel free to also call 630-365-1649 for more information. Just Added to the Rig Source Showroom. 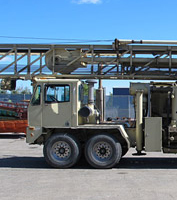 – Rig Source just added to it’s show room a 2006 Schramm T130XD drill with a Detroit 2000 750HP engine. The drill rig is mounted to a crane carrier with approximately 3,872 miles on a CAT C-13 410 HP engine. There are multiple packages to choose from and condition reports can be made available. 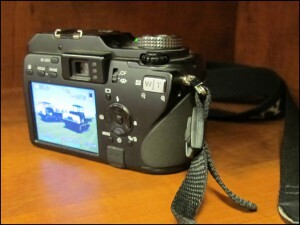 Feel free to visit our full online showroom or call 630-365-1649 for complete package details.